Gharsanay IbnulAmeen is the organizer of the Afghan Girls Leadership Program, which provides annual leadership workshops for girls across Afghanistan. She is co-founder of the Global Youth Development Initiative where students are connected to professional and peer mentors from across the world for academic advising and international exposure. Gharsanay is also a very active member of Ethnic Harmony which is an ethnically diverse team implementing projects in different parts of Afghanistan seeking to promote ethnic harmony. 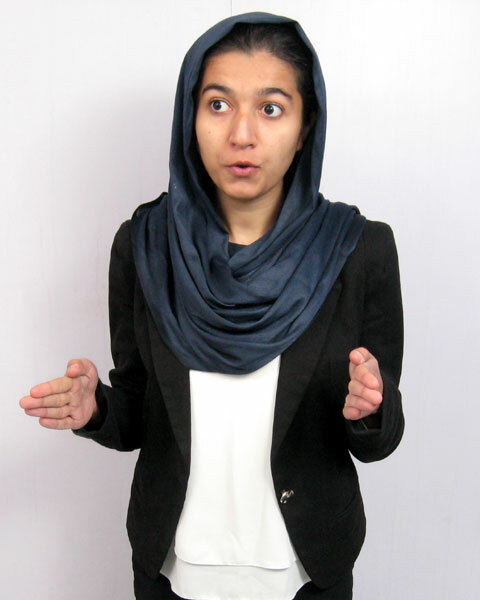 Gharsanay is the co-organizer of the first ever Model UN in Afghanistan. She also is working as the team ambassador in the Everywhere Everywoman Project developing the first ever-international Treaty on Violence against Women. Currently, she is a law student at the American University in Afghanistan and has defied societal constraints to become an advocate for women’s education and ethnic reconciliation.